This year saw huge hype around advanced analytics tools like AI and machine learning. This podcast recaps everything businesses need to know about this year's top analytics trends. This year was all about machine learning, deep learning and artificial intelligence. Without a doubt, these advanced analytics techniques grabbed more than their share of headlines and generated huge amounts of hype. Everyone is talking about them, and enterprises are looking for ways to implement them. On the other hand, internet of things analytics, which started 2016 looking like it would dominate much of the analytics discussion, didn't generate as much enthusiasm as machine learning and artificial intelligence (AI). Yet, while its hype has been small, its true business impact may be more significant than that of AI. 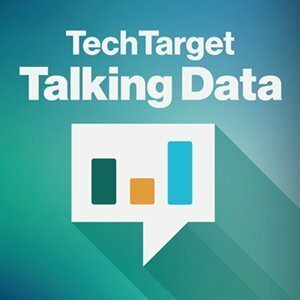 In this special, year-in-review edition of the Talking Data podcast, we take a look behind the headlines of these trends and more. Even beyond the realms of AI and internet of things (IoT) analytics, there's no shortage of hype in the world of analytics, and separating that hype from real business value is the key for enterprises to make the most of their software investments. We try to give these tools a reality check. After years of false starts, 2016 was the year AI finally got some traction. Larger data volumes for training models and advances in processing power have made the technology more feasible. Yet, even as large companies like Google, IBM and Facebook have made inroads with advanced analytics techniques, smaller enterprises are still looking for ways to implement them. At the same time, some vendors have taken steps to repackage more traditional machine learning tools as AI in an attempt to latch onto the hype. Listen to this podcast to learn more about these trends and how they may affect your business. What do you think is the most overhyped advanced analytics technique of 2016?